When I started reading Maya, the first thought that came into my mind was,” And here’s another book on a foreigner’s perception of India”! There was a time a few years back, when everyone wanted to write about India and their own journey of self-realisation. While some were enjoyable, some irritated and annoyed me. I am a proud Indian and I don’t need some outsider to dissect India for me. 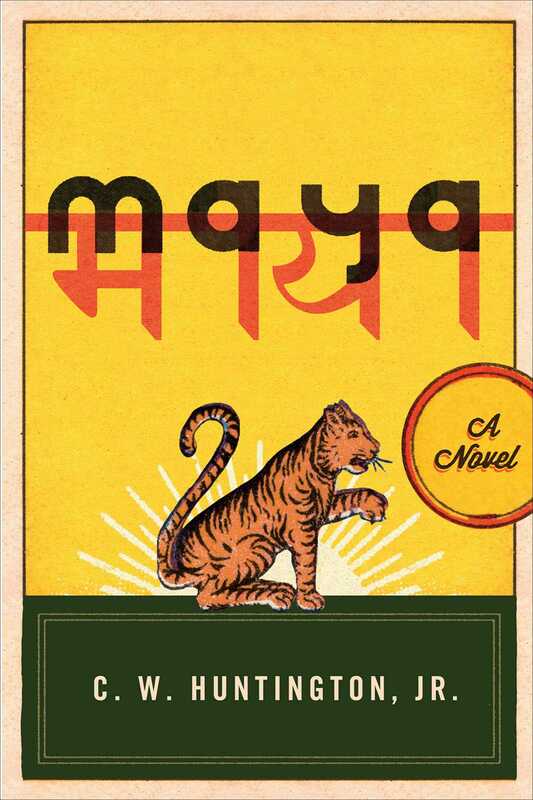 And this is how I started reading Maya- expecting it to be another tale of confusion, loss and then discovery. The story starts in 1975, the year when a state of emergency was declared across India. Political turmoil under Indira Gandhi, does not stop American Stanley Harrington from coming to India. Already a broken man, trying to come to terms with a failed marriage, Stanley tries to get a hold over himself by concentrating on unravelling the mysteries from ancient Vedanta texts. From Delhi to Agra and then to Banaras, Stanley’s journey highlights the myriad links that join together to make the culturally exotic India. Huntington paints a colourful and intriguing picture of India by introducing the reader to hippies, expats, yogis, hermits and scholars, all journeying towards their ultimate goal of living a life free from illusion. Illusion, known as Maya in Hindi is what turns the wheels of the world, according to ancient Hindu and Buddhist texts. The narrative is about Stanley Harrington’s spiritual journey but the author very deftly engages the readers and gently pushes them towards their own journey of self analysis,contemplation and redemption. The book is philosophical and captivating. Huntington’s research is flawless and opens up a world of ancient Indian wisdom in an easy to understand manner. After the first few chapters, I stopped seeing Stanley Harrington as a foreigner seeking nirvana. His journey became my own journey towards understanding the mysticism and the profound knowledge from ancient texts that is somewhat lost in time. The book demands patience. A must read for the ones with an interest in the age old scriptures from the Indian subcontinent and also for those who want to understand the illusion called LIFE! This entry was posted on May 18, 2015 by artikabakshi in Book Reviews and tagged C.W.Huntington Jr., india, Maya.